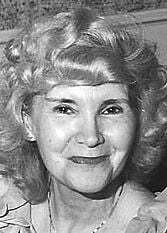 Norma E. Mitchell1922 – 2012Norma E. Mitchell, of Kenosha, died Wednesday, July 25, 2012, at Kenosha Medical Center. She was born in Chicago, Ill., on Nov. 17, 1922, the daughter of the late Alexis and Ellen (Hjort) Hedenschoug. She and her late husband, Rex Mitchell were married on March 13, 1943, in Anniston, Ala. Norma enjoyed going to Trinity Evangelical Church and she was a homemaker. Survivors include two daughters, Diane (Ed) Ambrose of Winthrop Harbor, Ill., and Karen Whidden of Macon, Ga.; ten grandchildren and nine great-grandchildren. She was preceded in death by her husband Rex; three brothers, Robert, Leroy and Theodore and two sisters, Bernice and Dorothy; and a grandson, Christopher. Visitation will be held at Kenosha Funeral Services on Tuesday Evening, July 31, 2012 from 6 - 8:30 p.m.